”I quit. You and SSI are responsible! I know it”, says Anton Modin, diver and former Air Force officer, to the manager for the Section For Special Intelligence and throws his written notice on the table. He has just lost his wife and his two children in the Estonia ferry disaster and he blames SSI for it. Fourteen years later Modin find clues to a safely preserved secret. The Swedish Navy has in the eighties sunk a Soviet submarine just outside Stockholm. He decides to find out the cover up. With that he risks not only the national security but also becomes allowed byte for Swedish, Russian and American intelligence. 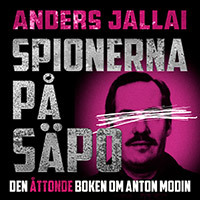 Anton Modin cooperates with The Swedish Security Service most classified unit and a guerilla warfare breaks out in the middle of the idyllic Stockholm archipelago during the pursuit for the Soviet submarine. Anton Modin is searching for truth and redress but also revenge for his family he so tragically lost. 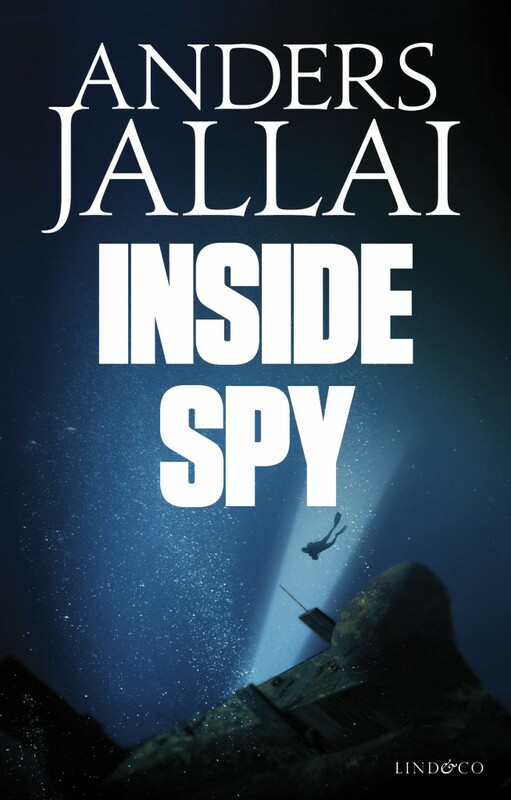 Inside Spy is a thriller about submarine intrudings and spies within the Swedish signal intelligence and intelligence services. Spyes allied with KGB or CIA or maybe both att the same time. Inside Spy is the first part of a trilogy and is based on the author’s own experiences and oar number off archive research and deliberations with persons that have been active within intelligence or in other ways have insight in the events that the book is based on. 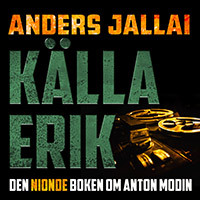 The author: I got the idea of writing a spy novel when I researched for materials about the Soviet intelligence organizations KGB and GRU‘s espionage in Sweden during the Cold War. I found information and material that were both sensational and unique. Inside Spy is a novel based on some real events. It is the first book in a series about Anton Modin and his friends. in the Security Service, including the Top Secret parts. In addition, the Service’s personnel files until the year 1985 and the Venona files in the Security Police archive and the NSA archive. The first book, Inside Spy, is reflecting events that occurred during the 1980s. It’s about submarine violations and spies in the FRA and intelligence. I have documented interviews with insiders who shared their knowledge and time. I thank them warmly for this. Many of those who were active during the years in question and some even earlier, are no longer with us, which I deeply regret. They cannot read the result of our conversations. The two hundred people I have had conversations with in connection with my research and for this book has worked within the Security Police, FRA, Must, KSI, SSI, IB, T-office, Police, Coast Guard, Maritime Administration, Swedish Navy, Russian Navy, Air Force, Army, FOA, FOI, FMV, the Foreign Office, Cabinet Office, the Military Archives, The National Archives, National Archives, the KGB archives, U.S. Navy, NSA, GCHQ, Military Equipment Inspectorate, The Accident Courts Administration, Maritime Administration, Soviet marine, Estonian marine and the Estonian secret services. The names of actual people are fictional in the book due to privacy. All sections in italics are taken from authentic documents. Finally, remember, it’s a novel. Everything in the book is not true.